What is a Breed Advisory Committee (BAC)? 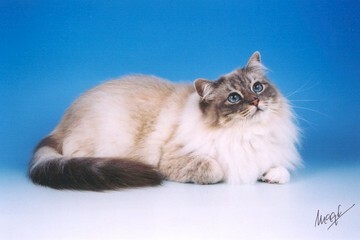 A Breed Advisory Committee (BAC) is a committee of the Governing Council of the Cat Fancy (GCCF). There is a BAC for each breed with a responsibility to work in the interests of the cats of its Breed by establishing, monitoring and maintaining its Breeding Policy, Registration Policy and the Standard of Points. The BAC also monitors the training and performance of the judges on its list and candidates wishing to become judges within it's Pupil Judge Appointment Scheme. The BAC also provides a forum for discussion between the Constituent Clubs. A BAC considers all aspects of its particular breed within its section. The BAC operates in accordance with its Constitution which is based on a GCCF template for BACs and after personalistion to meet specific BAC's purposes, is approved by the GCCF's Board of Directors. Once formed the BAC become the sole group recognised as the advisory/recommending body to the GCCF Council for that Breed. The BAC nominates persons who have satisfied the BAC as to their suitability to become a Judge, to the GCCF Council for the appointment as a Pupil or Full Judge of their breed. It also maintains contact with judges on their Breed Judge List to keep them aware of any objectives in the development of the breed(s) and any amendments to the Standard of Points. Monitoring the ability and progress of Pupil Judges in their BAC Scheme is a key activity together with providing advice, training and tuition as required. The BAC is also responsible for monitoring GCCF Stewards who are progressing through the Stewarding Scheme. The committee organises seminars to communicate and debate current affairs with all judges on their Breed Judge List, Breeders and Exhibitors and facilitates practical demonstrations and training for stewards and Judges.